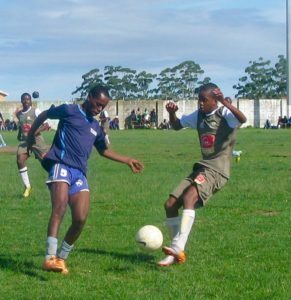 As the local football clubs gear up for the third edition of the New year’s cup, a major club has is a notable omission from this year’s preparations. 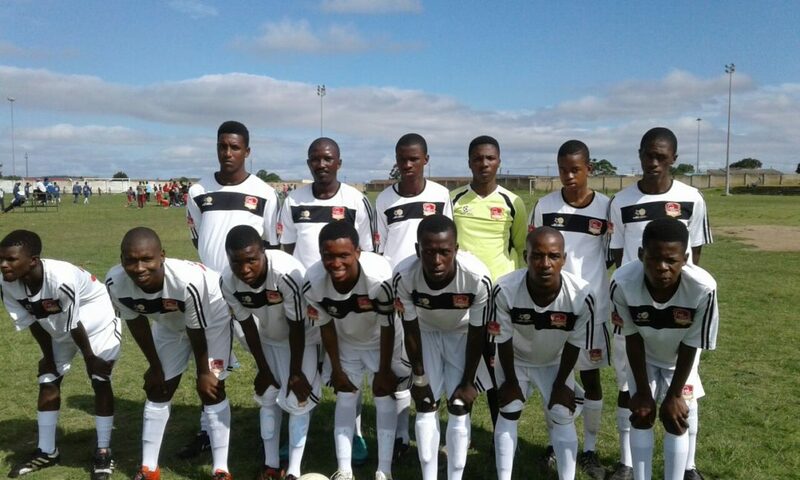 Makhanda will be represented in the 2018 New Year’s Cup by Santos, Newseekers, City Pirates, Grahamstown United, Jacaranda Aces, Sakhulutsha, Mighty Chiefs and Maru. The notable absentee is Eleven Attackers, who command a huge following, especially in Joza where they really made their mark in Makhanda’s football history. 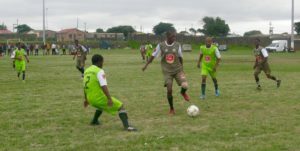 Attackers is one of the most successful sides in Makhanda, making it even more surprising to see them not be a part of the annual festive season tournament for the second year running. 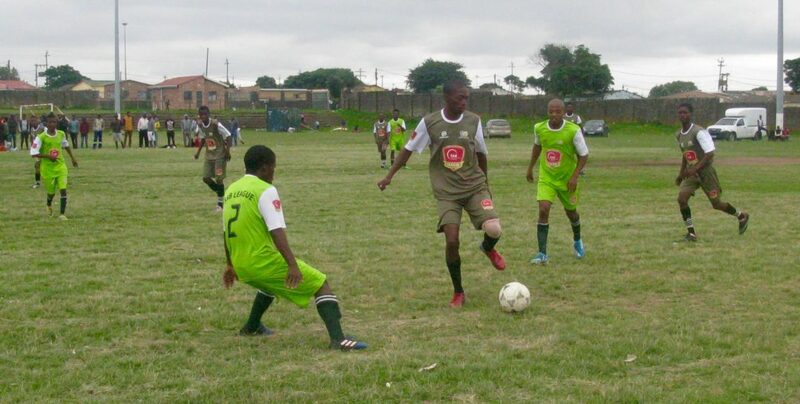 Sakhulutsha and XI Attackers players clash in their match on Saturday 24 February. XI Attackers midfielder looks to beat the Maru defence in April, 2018. “When we requested the club’s constitution we wanted to look at it and try to discuss some of the important issues on it. For example a constitution made in 1975 cannot be really relevant to this day and age. [The] Attackers [club]was formed at the time of the struggle against apartheid, and the logo reflects that, but it does not really make any sense now. Most of the big teams here and abroad have upgraded their logos and that is what we also wanted to do,” said Platyi.  “We had a strategic planning programme recently at Rhodes and invited everyone associated with the club, including founder members, but it was only Mr [Tando] Mtshalala who honoured our invitation,” said Platyi. “I feel for the players… I love Attackers so much but cannot continue in this situation and have now decided to quit and focus on my family and also spend time on more constructive things. I wish who ever is going to take over all the best,” said Platyi. The Eleven Attackers were approached for comment by Grocott’s Mail, and have chosen not to comment on the matter at this time. The Eleven Attackers FC stand together ahead of a match earlier in the season.